Where on my Ticket Does it Tell me if I’m Charged With a Misdemeanor or Felony? If you’re unsure what type of charge you are facing in Virginia, you can find out in several ways. If you were arrested or even just given a “Virginia Uniform Summons,” you should have a copy of whatever paperwork is accusing you of violating the law. That paperwork (either a warrant or summons) will list the offense you’re charged with and your court date. The paperwork may also say if the offense is a misdemeanor, felony, or traffic infraction. Summonses don’t usually have this information, but a warrant should. For a warrant, it would be listed on the right side of the form. 2. Check the court’s computer. Both misdemeanors and felonies typically begin in the General District Court in Virginia. You can look up your case information in their public database. That system has the type of offense listed on your case detailed screen. You can simply read from the screen whether or not you’re charged with a misdemeanor, felony, or traffic infraction. 3. Call a defense lawyer. If you’re in doubt about what you’re charged with, you should definitely talk with a local defense lawyer who can help you understand the nature of the charges. Should I talk to a Virginia Speeding Ticket Lawyer? How are Preliminary Breath Tests Calibrated for Accuracy? 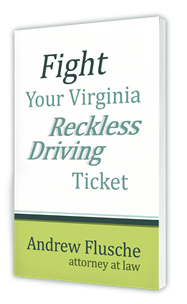 [VIDEO] Should You Prepay Your Virginia Reckless Driving Ticket? [VIDEO]How Often do People Get Jail for Virginia Reckless Driving?